When you want professional, quality collision repair for your Hyundai…. 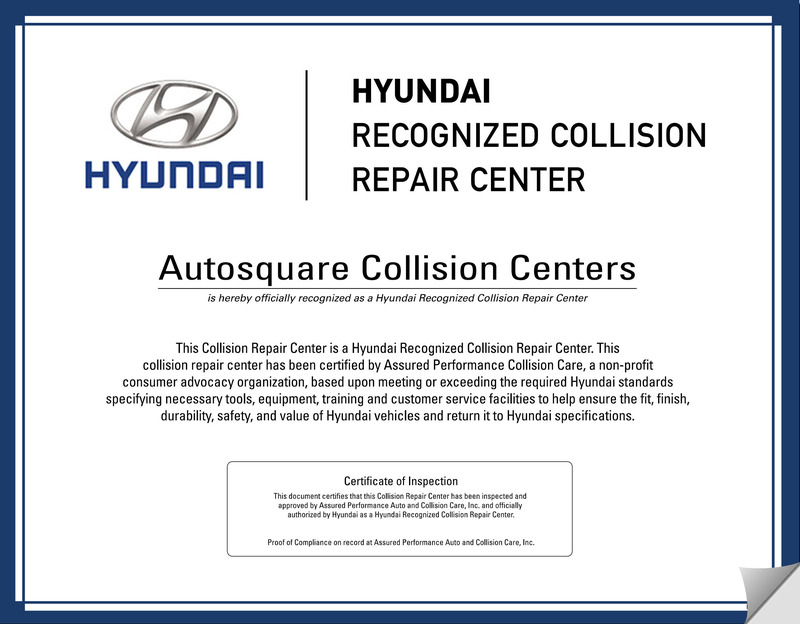 Autosquare Collision Center is a Hyundai Recognized facility that have been certified by Assured Performance Collision Care, a non-profit customer advocacy organization. They have confirmed our compliance to Hyundai standards for tools, equipment, training and customer service that in turn ensures the fit, finish, durability, safety, and value of your Hyundai vehicle and its return to Hyundai specifications. Make an Appointment online with one of our certified Claims Managers.